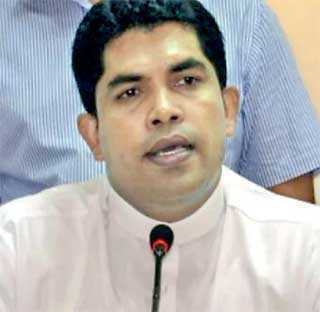 Presenting a contradictory view, the Sri Lanka Freedom Party (SLFP) Youth Front President MP Shantha Bandara yesterday said President Maithripala Sirisena had not taken a decision to seek the opinion of the Supreme Court on the length of his term and that this had not been officially communicated to the party. However, earlier this week SLFP General Secretary Dayasiri Jayasekara said at a news conference that discussions are underway among members of the party on whether to seek the Supreme Court’s advice on the duration of President Sirisena’s term. “An official discussion was not carried among members of the party. However, the President does have the power to seek the Supreme Court’s opinion on the length of his term. 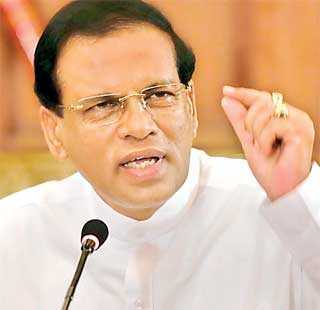 Whether to do so is a determination only he can make,” Bandara told reporters at SLFP headquarters. He said the majority of SLFP members were expecting the President to serve his full term as a democratically elected President. He noted President Sirisena was the only Executive President who agreed to give up power voluntarily, and therefore he had shown that he was not after power or authority. He also said the President had expressed his support to abolish the Executive Presidency. However, Bandara pointed out that the 13th Amendment to the Constitution should also be abolished along with the Executive Presidency. The Sri Lanka Podujana Peramuna (SLPP) had criticised the decision to seek the opinion of the Supreme Court on the length of President Maithripala’s term in office. SLPP Chairman Prof. G.L. Peiris said that he will challenge any effort to seek a second clarification, as in his view it was a ploy to delay elections, which the SLPP would not support.